The International Education Team is in charge of supporting outgoing SNU student, facilitating the administrative work for incoming international students, as well as functioning as an international student support service center. 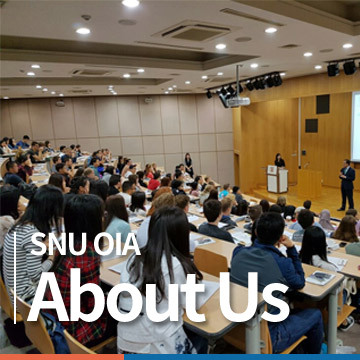 From administering a comprehensive orientation program, to assisting with visas and cultural activities, the International Education Team is there to ensure that international students who study at SNU are well looked after and have a life-enhancing and fun experience. The team also deals with all aspects of developing and overseeing relationships with SNU's partner universities around the world.